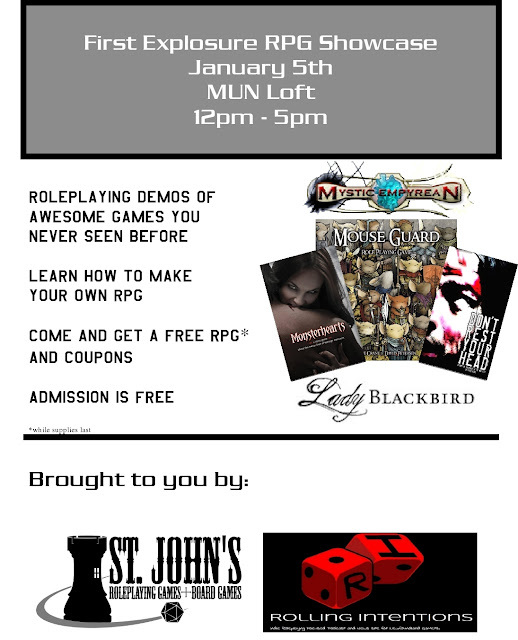 Rolling Intentions Podcast will be Hosting a "First Exposure RPG Showcase" In the MUN Loft on January 5th from 12-5pm. Come check out and get in on the fun. We will be doing Game demos and promoting game design to those with the creative minds to do so. First Exposure means it will probably be the first time you see any of these games. 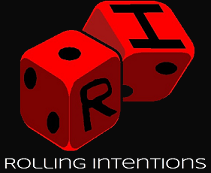 Rolling Intentions is a podcast about indie Roleplaying games which seems to fade into the background of the bigger name companies. Here is your chance to get to see some gaming gens for probably the first time. 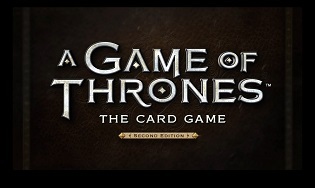 We will be giving away coupons for gaming stores and even a FREE RPG of your own to take! There will also be information from the Forge about how to make, play test and publish your own game! Come support the Indie Game Designers! Admission is Free! Visit nlgamer.ca for the event calendar!